The eighth volume of the Documents series, to be published in May 2019, contains personal correspondence, revelations, discourses, financial documents, meeting minutes, and other documents from February through November 1841. 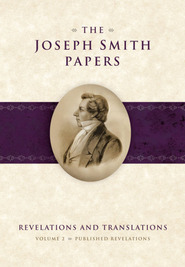 Key texts include minutes from a special conference in August 1841 in which Joseph Smith delegated Church administrative responsibilities to the Quorum of the Twelve Apostles, documents pertaining to cornerstone ceremonies for the Nauvoo Temple and the Nauvoo House, minutes from the Nauvoo City Council and the Nauvoo Legion illustrating the city’s growth and Joseph Smith’s role in civic matters, and correspondence relating to missionary work by the Quorum of the Twelve and others. 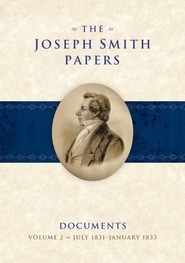 The documents show that Joseph Smith’s role as leader of the Latter-day Saints remained firm as he led and managed the growing church, continued to instruct its people, and supported the building up of Nauvoo, Illinois, as the church’s gathering place. Brent M. Rogers is a historian for the Church History Department, The Church of Jesus Christ of Latter-day Saints. Brett D. Dowdle is a historian for the Church History Department, The Church of Jesus Christ of Latter-day Saints. Mason K. Allred is an assistant professor at Brigham Young University Hawaii.